Scientific studies all confirm that cerebral decline should not be seen as inevitable! There are things you can do to protect, boost and stimulate your cognitive function. Here are five tips to help you preserve your memory. Today, the SuperSmart experts are focusing on chronic fatigue. Though it remains poorly understood and recognised, it’s a condition which should not be seen as untreatable. On the contrary, treating chronic fatigue today means taking up the fight! You need to identify the potential causes and eliminate them one by one. How can you protect yourself from air pollution? Air pollution is a genuine blight on society. Towns and cities are obviously worst affected but the countryside is not immune either. Climatologists and health professionals alike are ramping up their warnings! It’s time to take concrete measures to curb the health risks associated with air pollution! Almost half the world’s population could be lacking in vitamin D! That’s the worrying conclusion that has emerged from a number of studies conducted over recent years. Deficiency in this vitamin is common even though it is absolutely essential for optimal functioning of the body. The good news is that such deficits can be prevented or corrected. The experts at SuperSmart have put together this update, summarising everything you need to know about this important vitamin: its roles in the body, its significance, the risks of inadequate levels, how to prevent and treat deficiency … When you’ve read the guide, feel free to share it with others to help lower the incidence of vitamin D deficiency. Benefits of vitamins: the complete list! The benefits of glutathione - the king of antioxidants! Crowned the king of all antioxidants, glutathione is indeed an exceptional compound which nonetheless is often overlooked. Did you know, for example, that it plays a key role in the healthy functioning, equilibrium and defence of the body? A powerful natural antioxidant, a key anti-ageing substance, a detoxifying agent … the benefits of glutathione just go on and on! In this guide, the experts at SuperSmart will reveal everything you need to know about glutathione - its definition, indications and numerous functions within the body. Get ready to discover this important compound. Honey, royal jelly and propolis: what are their health benefits? Beehive products have been growing in popularity over the last few years, though enthusiasm for these substances is far from a recent development: packed with benefits, they have in fact been used for thousands of years. Treatment with honeybee products is actually a branch of alternative medicine called apitherapy. Read on to find out more about the positive effects of honey, royal jelly and propolis. Summer is in full swing. Al fresco lunches, lazing on the beach, afternoon strolls in the sun, long evenings with friends… the pleasures of summer are many and varied, but they can take a toll on body tone, affecting not only our skin and hair but our muscles too. Fortunately, help is at hand. Here are three key tips to help you maintain a firm, toned body throughout the summer months. Every year, it’s the same. We can’t wait to go on holiday, but when it’s time to go, there’s always something that puts a dampener on things. Pre-departure stress, travel sickness, the effects of jetlag, travellers’ diarrhoea … These minor worries are far from infrequent but the good news is they can be easily avoided. 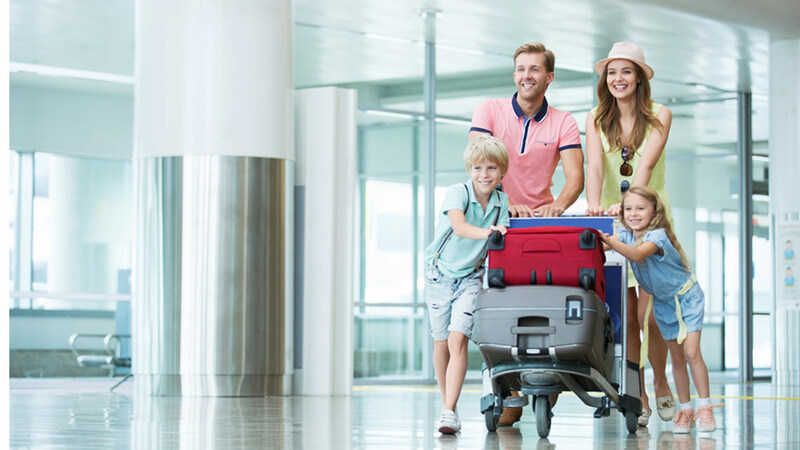 Read on for our tips on how to travel with complete peace of mind!